Here's how they did it. Scientists have observed how a magnetic dipole field can create what looks like a glowing, localised fireball inside a plasma chamber. 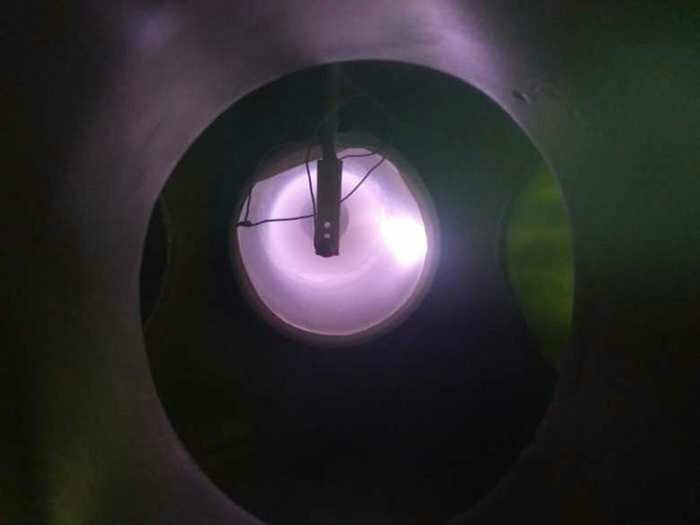 By placing a regular dipole bar magnet near the surface of the cathode, the researchers were able to generate an intense “glowing, fireball like structure”inside the plasma chamber, which varied in its brightness depending on how they positioned the magnet. 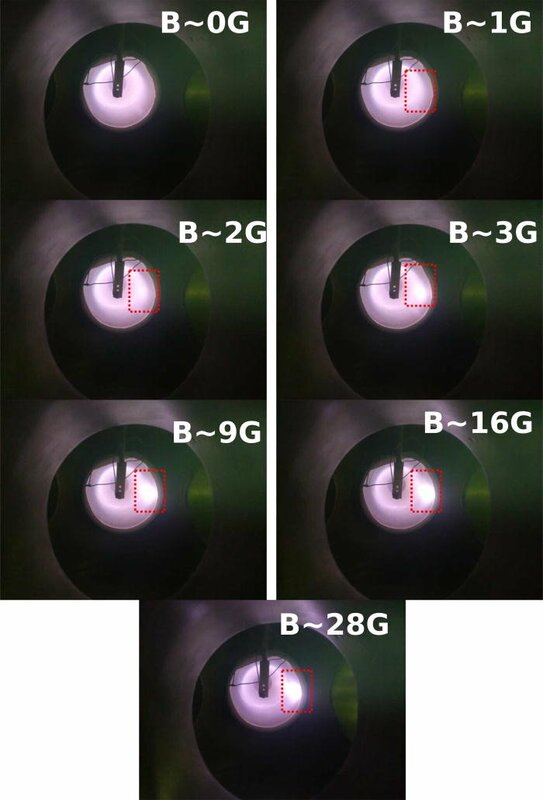 According to the team from the Saha Institute of Nuclear Physics in India, the localised glowing results from increased ionisation in the plasma chamber, due to the way electrons are confined by the magnetic field near the negatively charged cathode surface. Scientists have previously conducted a range of research on how magnetism interacts with plasma using chambers just like this, but most of the time those experiments involve a magnet positioned inside the chamber – which means variations in the strength of the magnetic field don’t usually show up. By placing and repositioning a mobile magnet on the outside of the chamber, however, it highlights a different effect of the magnetic field. “Though bar magnets have been used in plasma experiments, the focus was mainly on the measurement of plasma equilibrium parameters like density, potential, and other fluctuation measurements,” says lead researcher Pankaj Kumar Shaw. When a magnetic field is introduced to plasma, it induces fluctuations in the plasma, which become less ordered and more chaotic as the strength of the magnetic field increases. While scientists already knew about this effect, the researchers here discovered that the transition from order to chaos in the plasma reflects what’s called period-doubling bifurcation – a mathematical equation that explains how systems can repeat in a doubling pattern in response to changes in parameters. “Following a particular sequence from order to chaos via [a] period-doubling route was unexpected,” says Shaw. Aside from the cool fireball effect, the results may largely be of theoretical interest for other plasma researchers right now, but the team thinks that in the future the findings could impact the study of how magnetic anomalies affect solar wind interactions with planetary bodies. Tbh, that’s a pretty academic area too, but it’s one that could also have massive repercussions on future space exploration and colonisation inside our Solar System – especially since NASA has indicated it wants to study the possibilities of launching a giant magnetic field to make Mars habitable again. The idea there is that, over the passing of galactic eons, the Red Planet may have lost its once lush atmosphere, which was stripped away by high-energy particlesprojected from the Sun. Understanding more about how plasma and magnetic fields play together could be a vital step in learning how to restore the Martian atmosphere, by reinstating the Red Planet’s own magnetic field. Of course, that’s a pretty giant leap from the discovery we’re telling you about today – but it’s all part of a scientific continuum, folks. One little fireball could help us heal the hurt created by a much bigger one. The findings are reported in Physics of Plasmas.